It has been replaced by the Viqua VH410M, which offers a Longer Warranty and a Better Performance. The Sterilight SSM-37 is well suited whole house disinfection in small homes to kill bacteria (including coliform and e.coli), viruses, cryptosporidium, giardia, and a wide range of other microbioogical contaminants where flow rates do not exceed 10.0 gallons per minute (37.9 LPM). It is the most economical unit with this flow rate capcity that we offer that features a UV intensity monitor and a powered solenoid output. 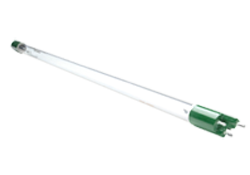 It is an excellent choice for applications with a known bacteria or other microbiliogical contamination problem. 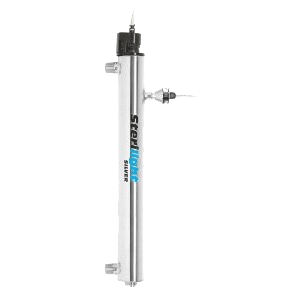 Like all Sterilight Silver Plus Series UV water purifiers, the SSM-37 features a stainless steel reactor chamber, a fire-polished domed quartz sleeve, and Sterilight Sterilume™-EX coated low pressure germicidal UV lamp which can be conveniently changed without interrupting the water flow. 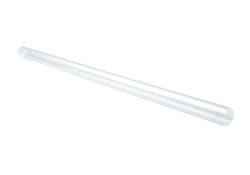 The UV lamp provides a 4-log (99.99%) reduction of bacteria, viruses, and protozoan cysts (cryptosporidium and giardia) at the specified maximum flow rates. Lamp life is 9,000 hours (1 year). 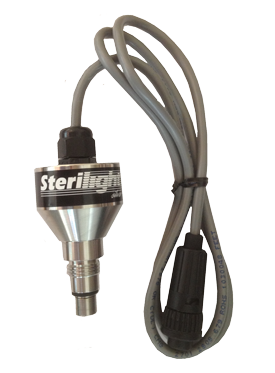 The SSM-37 uses Sterilight's electronic "ICE" controller features a switchable power supply that automatically detects line voltage between 100-240 volt and adjusts its operating settings accordingly. It also features a convenient display which indicates % UV output, remaining lamp life, and total days of operation. 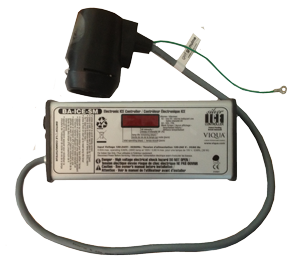 Coupled with a true 254nm UV intensity monitor housed in a stainless steel enclosure, the controller continuously monitors the UV output and warns you of any changes in water quality or if the water becomes unsafe to drink. 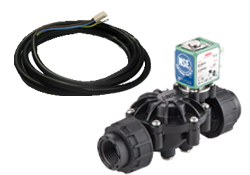 The SSM-37 also comes with a powered solenoid output that allows you to connect an emergency solenoid valve shut-off kit (sold separately) directly into the controller. See below for more information. All UV sterilizers required sediment pre-filtration to reduce or eliminate the possibility that a targeted contaminant could "hide" behind a sediment particle in the "shadow" of the UV light and therefore not receive a full dose of UV light. 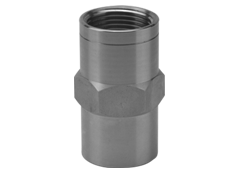 Accordingly, the manufacturer strongly recommends sediment pre-filtration down to a level of 5 microns or smaller. Water exceeding 120 ppm in hardness (7 grains per gallon) should be softened to reduce the risk that hard water mineral scale will build-up on the UV sleeve thereby reducing UV light distribution into the UV chamber. Similarly, iron levels exceeding 0.3 ppm or manganese levels exceeding 0.05 ppm should also be treated to prevent staining of the UV sleeve. *Note: Maximum recommended flow rates based on 95% UV transmittance. Actual dosage depends on flow rate, water quality, and maintenance (cleaning ov UV sleeve). UV dosage will be lower when the UV transmittance capacity of the water drops below 95% - if in doubt, select a model rated for a higher flow rate than you actually require. We recommend a UV dose of 40 mJ/cm2.